What if employees forget to clock out? There are two ways of tackling this situation. 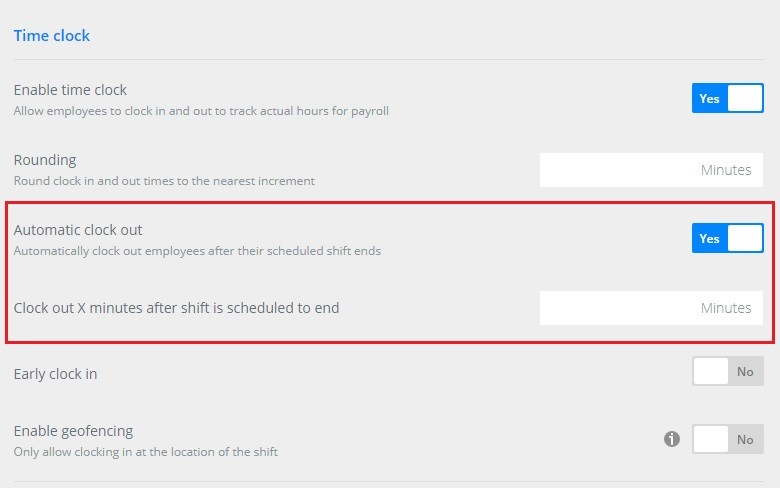 To automatically clock employees out after their shifts, enable this function from your Company Settings. 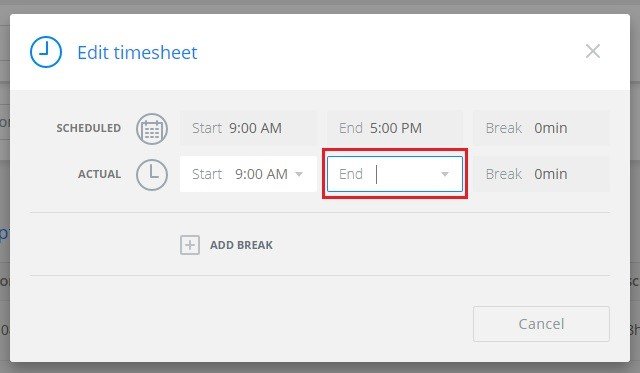 You can also edit an employee's time clock punches from Timesheets. Click the options button (3 dots) at the far right side for the info you need to edit, and then choose Edit timesheet. A window will pop up where you can enter the time they actually finished their shift. As you can see, any necessary changes to time clock punches can be made from this window.